According to Jaakko Wäänänen, Nordic values and ideas about equality allow Finnish service design to stand apart from the rest. In the future, robotisation and artificial intelligence will replace a large proportion of service sector jobs, making service design all the more relevant. For this reason, more focus should be placed on well-functioning and solution-driven service design. This is what the international award-winning Finnish service design company Hellon believes. A service designer is precisely someone who has these abilities. In service design the services of a company, or any other organisation, are designed so that the customer is as happy as possible with the service. “Processes and structures are designed around the customer, not the organisation,” explains Wäänänen. Demand for service design and its significance are continuing to grow globally. An indication of this is, for example, that an increasing number of executive groups now have a design director. Large consulting companies have also begun to buy service design companies in order to strengthen their expertise in the sector. Focusing on the customer is important in a tough competitive environment. “Today, Chinese products are equal in quality to Finnish products, so we need to find new ways to stand out from the competition. 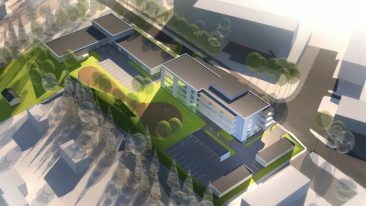 Service and, above all, customer experience are the way to stand out,” Wäänänen says. 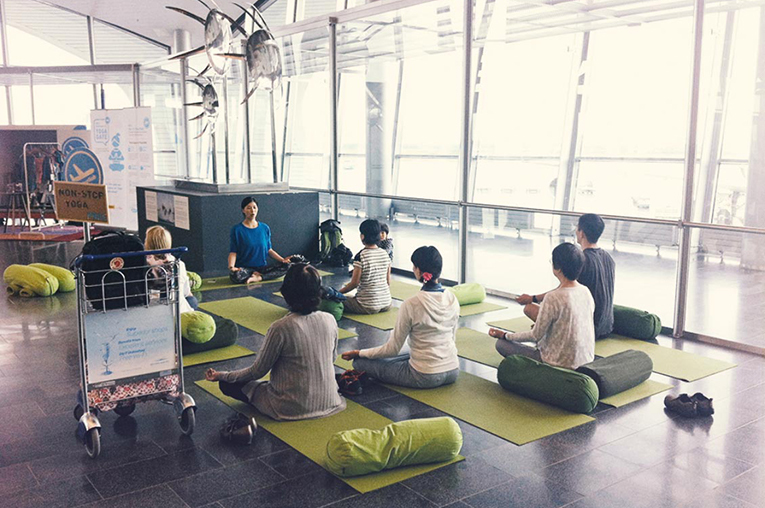 Passengers were given the chance to participate in yoga and Pilates classes or practice yoga on their own at the Yoga Gate studio, which was established at Helsinki-Vantaa Airport as part of Hellon’s project improving the travel experience. Hellon believes that business in industry’s sometimes long production chains is conducted between people, not organisations. Human-centric thinking is at the core of service design. 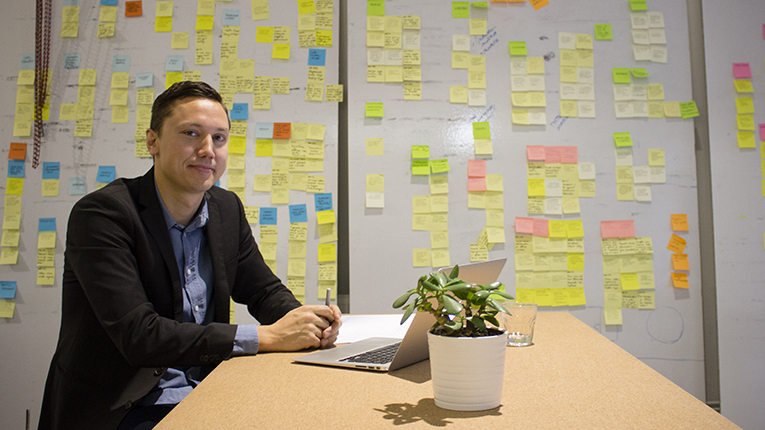 “The service design process seeks to find insight into what customers are like and how the service is connected to their everyday lives,” says Wäänänen. Many types of teams with commercial, technological and human-centric insight are required for mapping out this understanding. Hellon’s 20-person team includes designers, ethnographers, graphical and spatial design professionals as well as engineers and commercial experts. One of Hellon’s projects was the transformation of a pharmacy chain from an illness-centred approach to a wellbeing-centred one. According to Wäänänen, the background of Finns can boost the global success of their service design expertise because the ideas of equality inherent in Nordic culture and the welfare society model are the same values and ideas that are required to achieve smooth service. Relevant expertise can attract investments, as well as the offices of international companies. Last autumn, Hellon won two of the four Global Service Design Awards up for grabs at the service design sector’s one and only annual global conference. One of the awards was presented to the company for its TravelLab project, which was aimed at making the transfer time between flights more pleasant for passengers at the Helsinki-Vantaa Airport. Passengers were able to participate in airport yoga and a Midsummer festival including dancing, birch trees and a maypole. 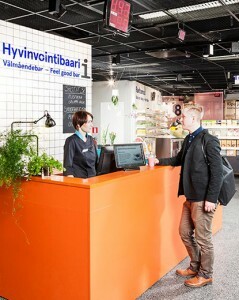 A bicycle-powered mobile café, floor stickers showing the way to the children’s play area, information screens on the airport buses and a Finnish-themed photo backdrop were featured at the airport. Hellon’s success is boosted by its continuous research and passion to develop the field. In seven years’ time, Hellon plans to be among the seven largest service design companies in the world. Last summer, the company opened an office in London and is looking for opportunities in Asia and the US. “We have a lot of insight into what direction this sector is taking,” Wäänänen sums up. Passengers at Helsinki-Vantaa Airport could participate in Hellon’s service design project through traditional Finnish Midsummer dancing and a flower head wreath workshop. They also got to sample some Finnish superfoods.